Mint is a money manager platform where users can extensively track their bills and their budgets. Personal finance knowledge is something that many Americans struggle with. In fact, only 24% of millennials show a basic understanding of financial literacy. 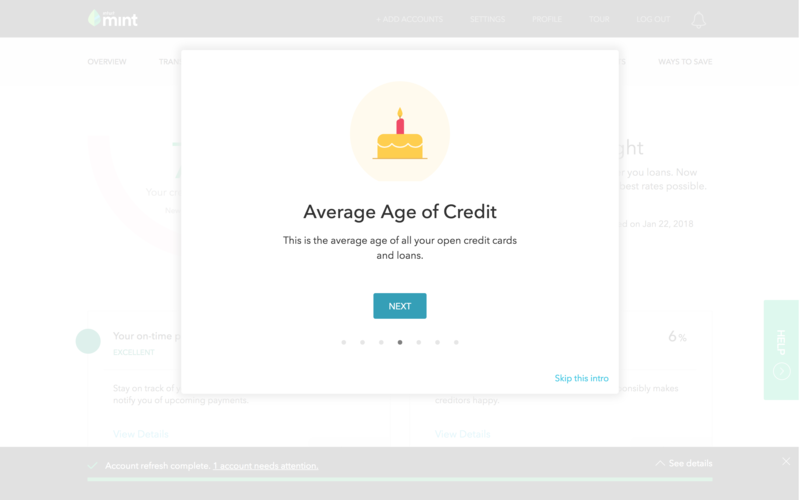 Apps like Mint aim to improve statistics like these, starting in their onboarding. 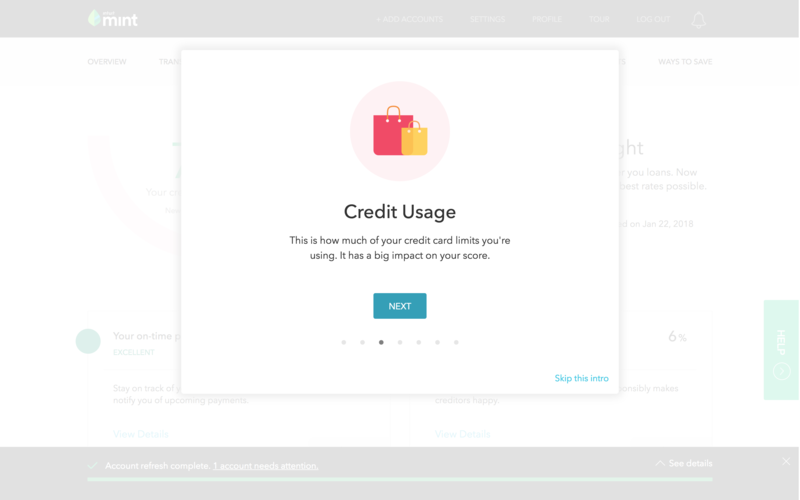 When Mint prompts new users to have their credit score run in the app for the first time, they also give users the option to view an educational breakdown about what factors into their score. Every year, studies show that many people are misinformed about credit and the practices that go into establishing a healthy credit line. 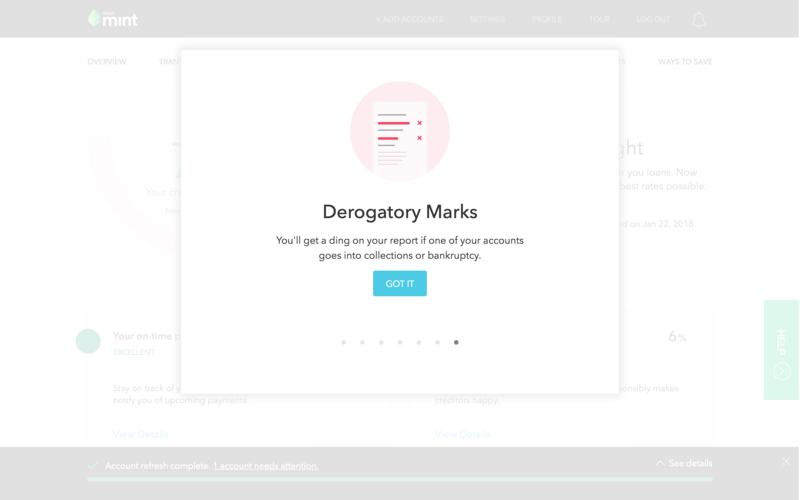 Mint knows this and channels it into an extremely user-friendly tutorial about the subject. For users that are knowledgeable, they can skip right away. 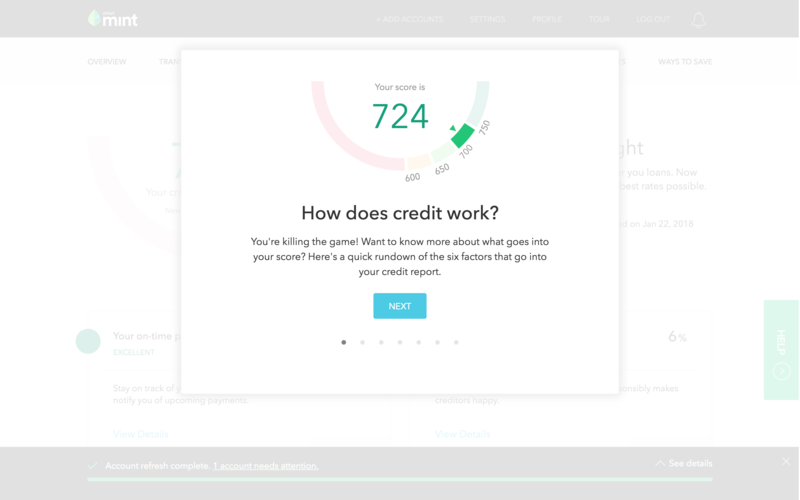 Rather than giving users a dry document to read about what a credit score is, they break the subject down into seven easy-to-digest boxes, each pertaining to one aspect of a credit score. Rather than clumping educational content into one piece of long-form copy, it's always better to break concepts down into smaller sections. Each window provides a concise, but clear, definition for each aspect that goes into a credit score. By the end of the tour, the user can walk away feeling like they learned something valuable that they can apply to their everyday financial practices.